1. In a bowl mix together Salsa, lime juice and zest, oil and cilantro. Adjust seasonings with salt and pepper. Cover and refrigerate. CCP: Refrigerate below 40°F. at least 2 hours before using. black beans, canned, rinsed, drained	 4 lb. 1 qt. avocado, peeled, pitted, diced	 2 lb. 1 qt. 2. 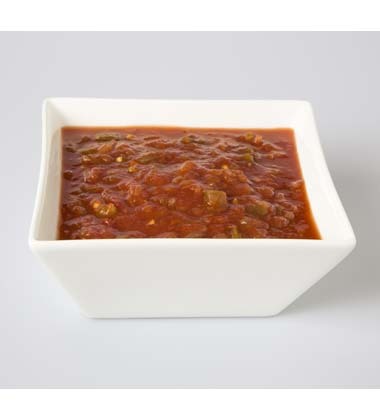 In large bowl gently toss together beans and reserved lime-honey Salsa and toss to coat. Gently stir in avocado and tomatoes. Cover and chill until ready to serve. CCP: Refrigerate below 40°F. at least 2 hours before using. Bibb lettuce, individual leaf(ves), large	 25 oz. 48 ea. 3. For Each Serving: Plate 2 leaves lettuce on chilled salad plate and scoop 4 oz./1/2 cup salad onto leaves. Garnish each with 1/8 teaspoon cilantro leaves. black beans	 4 lb. 1 qt. avocado	 2 lb. 1 qt. Bibb lettuce	 25 oz. 48 ea.